Jared Bleznick and Tom Marchese got into a preflop raising battle before the flop fell 10 5 2 . Bleznick bet 500,000 and Marchese called all in. The two players then tabled their hands. Marchese was eliminated in fourth place and Bleznick won the pot to grow his stack to 2 million thanks to two pair, queens and fives. James Wiese raised to 200,000 preflop and Jared Bleznick reraised to 650,000. Wiese called and the flop was dealt 10 6 2 . Wiese then got the last of his chips into the middle against Bleznick. The two players then flipped over their cards. Bleznick won the pot with a straight to grow his stack to 4.9 million in advance of the heads-up final against Daniel Alaei (6.6 million), and Wiese was eliminated in third place. The first hand of the heads-up match saw Daniel Alaei raise to 200,000 preflop and Jared Bleznick called. The flop was dealt 7 4 2 and Bleznick checked. Alaei bet 275,000 and Bleznick raised to 1.25 million. Alaei called and the turn fell 10 . Bleznick bet the pot and Alaei raised all in. Bleznick called all in and the final two players revealed their hands one last time. Alaei won the pot and the tournament with a full house. 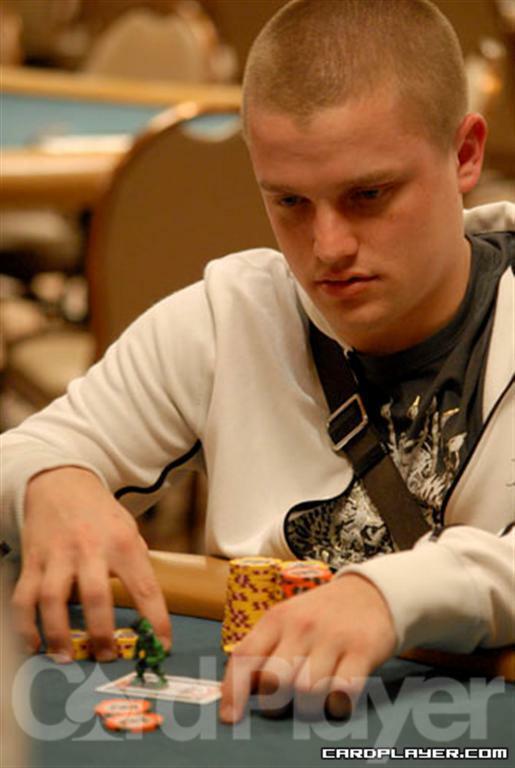 Bleznick was eliminated in second place and took home $526,625 in prize money. Alaei was awarded his fourth gold bracelet and the top prize worth $852,692. Be sure to check back with Card Player for all of the live updates, chip counts, photos, and videos from the Main Event, which will conclude on July 15 when the November Nine is set. Gjergj Sinishtaj raised and Daniel Alaei called preflop. James Wiese also called and the flop was dealt A 10 8 . Wiese checked, Sinishtaj bet all in for 710,000, and Alaei called. Wiese folded and the two remaining players revealed their cards. 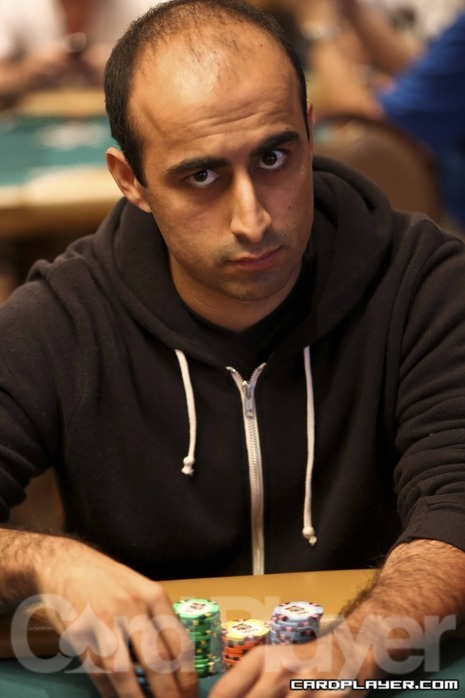 Sinishtaj was eliminated in sixth place and Alaei grew his stack to 5 million thanks to a straight. James Wiese raised to 200,000 and Numit Agrawal reraised the pot. Wiese then reraised all in and Agrawal called all in. The two players then tabled their hands. Wiese won the pot with a straight to grow his stack to 1.5 million and Agrawal was eliminated in fifth place. Daniel Alaei raised to 115,000 and Jared Bleznick reraised to 350,000 right behind him. Alaei called and the flop was dealt J 9 5 . Alaei bet 775,000 and Bleznick raised. Alaei called all in and the two players tabled their hands. Alaei doubled up to 2.55 million thanks to a flush and he took the chip lead at the final table. Rory Brennan raised all in preflop for 90,000 and Jared Bleznick reraised to 200,000 to isolate. Everyone else folded and the two remaining players revealed their hands. Brennan was eliminated in eighth place and Bleznick was up to 2.5 million thanks to a pair of kings. The final table of Event No. 61 ($10,000 Pot-Limit Omaha) has begun, and Card Player will be posting level-by-level updates with all major hands, current chip counts, and prize payouts. Note: Three blind levels will be played each hour, as each is just 20 minutes long. The only difference in round 2 is that the blinds begin at 300-600. Starting Stacks: 150,000 broken up into three chances — meaning that the players started with 50,000 and had 100,000 additional on the side that they could add on at anytime before a hand. If their additional chips were not in play when a hand begins, those chips couldn’t be used to wager with. Justin Bonomo held a set of deuces heading to the river against Daniel Alaei, who held a gutshot straight draw, and Bonomo was all in for his tournament life. The river card made Alaei’s straight and he advanced to the round of 32. Bonomo was the first player eliminated in the second round on the hand. Schulman had flopped the flush and he won the hand to grow his stack considerably. Rousso went to her add-on chips to reload after the hand. 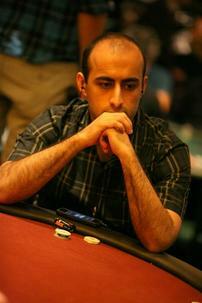 There was 10,000 in the pot and a board of 6 5 3 A sat on the table when Daniel Alaei bet 7,500 from the small blind. Hansen went into the tank for a minute and eventually tossed in the chips for the call. The 6 fell on the river and Alaei checked. Hansen bet 22,200 and Alaei made the call after some thought. Alaei revealed K 3 and Hansen mucked the 10 face up. Alaei took the lead in their match after the hand. John Juanda moved all in on a 8 4 3 A board with 10 8 in the hole but unfortunately for him David Paredes was waiting to make the call with J 8 . His dominant hand faded the river and he won the pot, forcing Juanda to reach for his final 100,000 to reload. The most interesting match at the start of day 2 so far has been between Matt Marafioti and Maxim Lykov. The two have been jousting early and often and that hasnâ€™t gone so well for Lykov, who is currently out of rebuy chips. Marafioti won the seesaw hand thanks to the king on the turn and Lykov was forced to reload after the hand. Two professional players who entered the tournament late on day 1B have already been eliminated. They are Daniel Alaei and Chris Moore, and they were joined on the rail by Nikolay Evdakov during level five. The big blind bet 2,375 with a 10 8 5 flop sitting on the table and Ray Henson raised to 5,300 on the button. Men Nguyen got out of the way on the small blind and the big blind went into the tank. He eventually made the call and then the turn fell K . Henson bet 6,500 and his opponent mucked. There was 11,500 in the pot and the board read Q 8 7 Q 6 when David Baker bet 9,000 on the button. 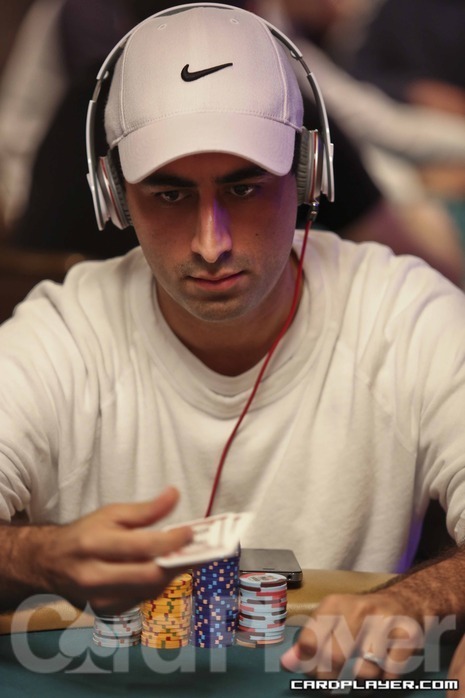 Amit Makhija went into the tank and eventually mucked the Q face up on the table. Baker flashed the Q 8 as he collected the pot. James Carroll raised to 28,000 and Daniel Alaei moved all in for 150,000. Carroll called with pocket tens, but he was well behind to Alaei’s pocket jacks. Nonetheless, the board board a ten, giving Carroll the pot and a new stack of 1.9 million. Alaei was sent to the rail in 35th place. Alaei was eliminated on the hand. Annette Obrestad just knocked out Daniel Alaei in a big pot to boost her stack to 630,000. Alaei picked up A-K, but ran right into Obrestad’s pocket aces to end his tournament run. Day 2A will end around 11 p.m.
After the flop came down Q 6 5 , seat 7 fired 5,000. Ted Lawson was next to act and he took his time to make a decision. Lawson was trailing and the board finished off J and A and Lawson was eliminated. Scott Seiver raised to 1,100 preflop and the player in seat 8 made the call. The flop came down Q 9 4 and Seiver led out with 2,000. His opponent decided to let it go there before losing any more chips and Seiver took down the pot. He was at 54,000. We got to the table after the board had run out A 5 3 2 3 . The player in seat 9 had fired a bet and Michael Mizrachi raised to almost 30,000. His opponent tanked long and the ESPN cameras caught all the action. Finally, seat 9 made the call and Mizrachi lightly tapped the table. His opponent turned over A 10 for aces-up and Mizrachi dropped a big pot. He was at 95,000 after the hand. Daniel Alaei and his opponent got all of the money in the middle on a flop of J 9 7 . Daniel Alaei showed J 10 and had the lead against his opponent’s A 7 . The turn was the 9 and the river bricked off, doubling up Alaei to 30,000. On a flop of 3 2 10 , Annie Duke checked and her opponent bet 8,000. Duke check-raised to 17,500 and her opponent went into the tank and thought for three minutes before moving all-in. Duke snap-called and tabled 3 3 and left her opponent drawing very thin with his K K .
The ESPN crew was called over to film the all-in pot. The turn was the 2 and the river was the 6 , eliminating her opponent and doubling Duke up to 130,000. After the hand, Duke joked with the rest of her table about how painful it can be to wait so long for each card to be dealt with the cameras filming. On a flop of J 9 7 Gabe Kaplan checked to Luca Pagano, who bet 2,300. After some deliberation and asking the dealer what the bet was, Kaplan threw out 5,300. The floor was called over, eventually deciding that Kaplan’s bet was merely a call. Action continued as both players checked the 7 turn. When the K fell on the river Kaplan led out for 3,100 and Pagano paused for thought. He called and as Kaplan announced “queen-high,” Pagano turned over 4 9 for two pair to take the pot and chip up to around 31,000. Kaplan had just 10,400 after the hand. On a board of 10 Q 3 K , the day’s starting chip leader Corwin Cole checked to his opponent, who bet 6,000 from the button. Cole held two pair to his opponent’s one pair and straight draw. The 8 river helped neither player and Corwin busted another player while chipping up to 230,000. Greg Mueller check-raised his opponent from 1,600 to 4,400 on a flop of K K 3 . His opponent called and the turn brought the A .
Mueller checked and called when his opponent fired 6,000 into the pot on the turn. The 6 fell on the river and both players checked. Mueller showed A 7 for two pair and his opponent mucked. Mueller had 34,000 after the hand. Scotty Nguyen and two other players saw a flop of A A 5 . The first player bet 2,500, Nguyen called, and the third party made it 7,500. The first player folded and Nguyen moved all-in for 18,650. His opponent went into the tank for a solid five minutes before calling. Nguyen showed 5 5 , giving him a full house and was ahead of the A 4 of his opponent. The turn was the K and the river was the Q and Nguyen doubled up to 62,000. The player on the button raised to 1,200 and Hasan Habib made it 7,000 from the big blind. The button then moved all-in for his last 20,000 and Habib made the call. Habib showed A K and was ahead of the button’s Q J . The flop came A A 5 , giving Habib trips and leaving his opponent nearly drawing dead. The turn was the 4 and the river was the 3 , giving the pot to Habib, as he moved up to 72,000 in chips. The flop ran A J 6 , giving Mattila the best hand going into the turn. That’s when things started looking grim for Mattila, as the K fell to give Alaei a set. 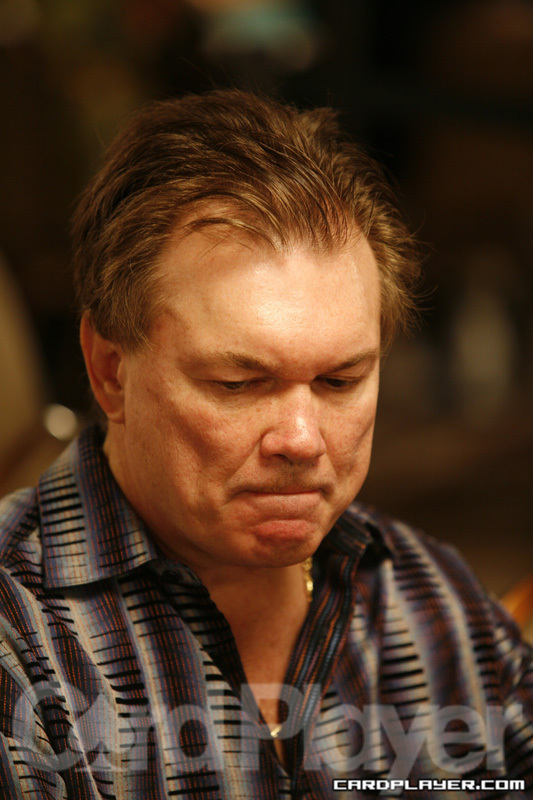 The river was the 10 and Mattila was gone in 3rd place, making $354,218. With that, Alaei and Miguel Proulx were heads up and Alaei held a dominating chip lead. Alaei held a set and Proulx was in trouble. The river brought the J and Alaei eliminated Proulx in second place ($482,265) to win event No. 55 and his third WSOP bracelet. He also took $780,599. The board ran out Q 2 5 10 3 , giving Alaei two pair and eliminating Lacay in 4th place, for which he made $262,208. The flop ran 10 8 4 to give Uyesugi two pair. The K fell on the turn and he was still ahead, but the 10 river gave Alaei the best hand and Uyesugi was gone in 5th, for $195,631. Dmitry Stelmak checked a flop of 2 9 J and Daniel Alaei fired 140,000. The third player in the hand folded and Stelmak called. The 8 fell on the turn and Stelmak again checked, with Alaei doing the same. The 9 river saw another check-check and Stelmak showed Q 10 7 A for a straight. Alaei mucked and Stelmak took down a nice pot early. In 2009 this event attracted 179 players and the tournament was won by Daniel Alaei, who took home $535,687 in prize money. CardPlayer.com will bring you full live updates, top-ten chip counts, and results each day from this marquee event.